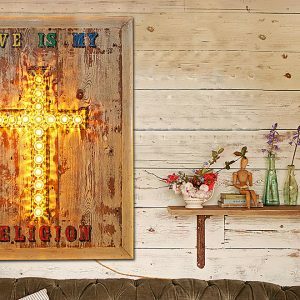 'Love is my Religion' is one of Argent and Sables poetic vintage sign designs. 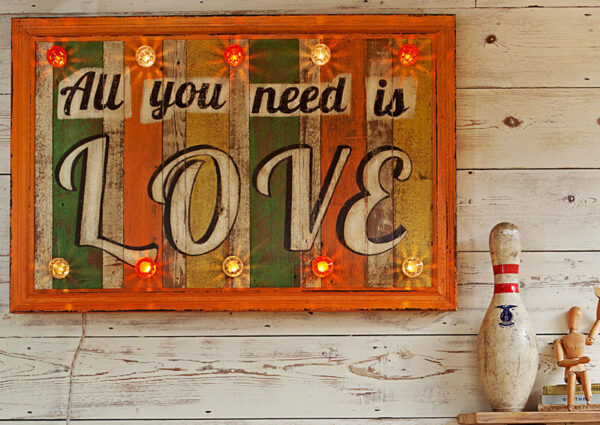 Inspired by a Keats love poem this vintage Circus style sign is a unique and eclectic statement piece. 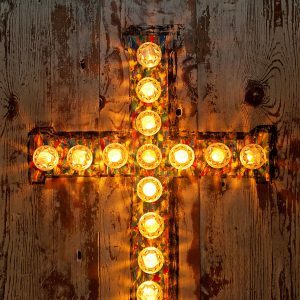 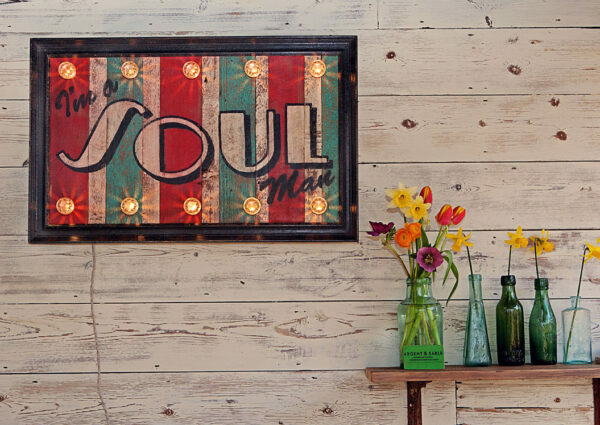 Hand painted onto beautiful reclaimed wood with bright flashes of primary colour this stunning sign is illuminated with a cross made from authentic fairground lights and surrounded by a distressed white wooden frame. 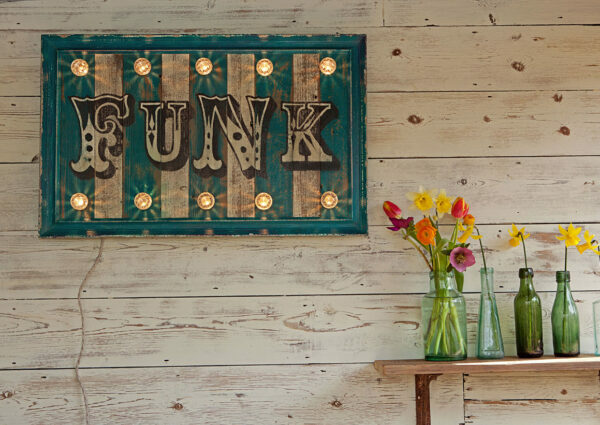 This statement piece has been lovingly and individually made by the designer makers at Argent & Sable who handcraft these illuminated fairground signs from reclaimed wood and authentic Circus lights in their Suffolk workshop producing a piece of light art that is both unique and eclectic. 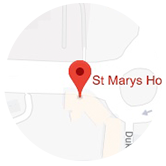 No two pieces are ever the same. 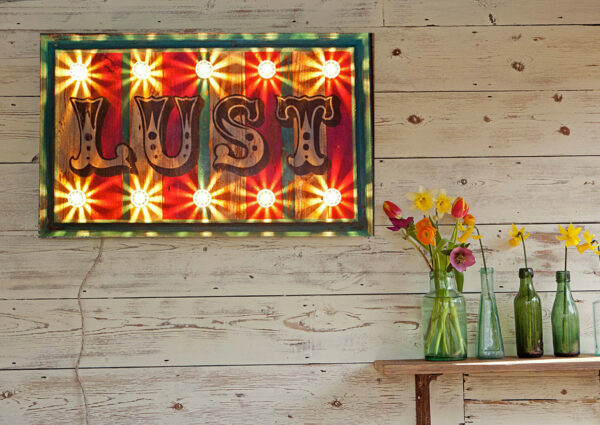 Argent & Sable Circus style signs look super stunning in domestic interiors, bars, restaurants, hotels, boutiques and creative spaces infact anywhere screaming out for some unique illuminated wall art. 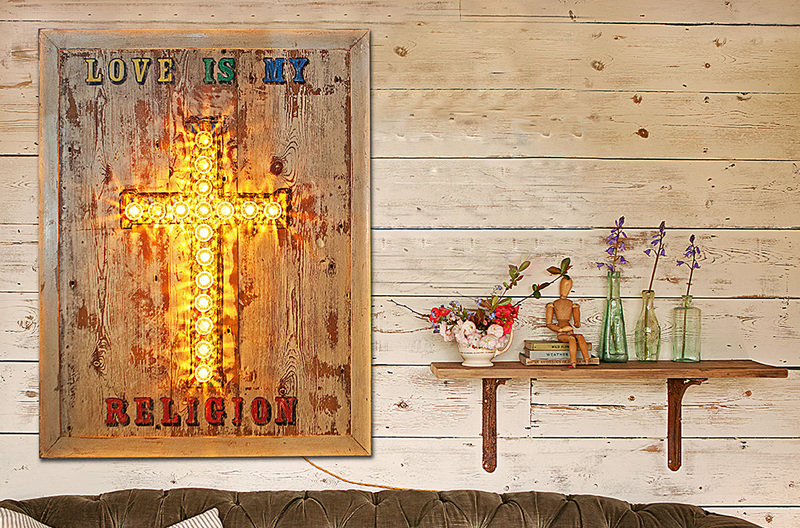 Dimensions: W80 x H100 x D10cm.